The following paper deals with US policy toward the Baltic states at two different time periods (1918–20 and 1989–91) and by two very different presidents (Woodrow F. Wilson and George H. W. Bush). The first period represented the time that saw the emergence of the United States on the world stage. Woodrow Wilson seemingly advocated self-determination as was understood by a number of his advisers at the Peace Conference, but eventually decided to support the unity of Russia as part of an anti-Bolshevik policy. During the second period, George H. W. Bush negotiated a settlement to end another conflict, the Cold War. While self-determination of the Baltic states (on the basis of the US non-recognition policy) was not of prime importance for the US, it nevertheless was brought up at very summit meeting with Mikhail Gorbachev and came to be linked to the resolution of economic issues between the two major powers. 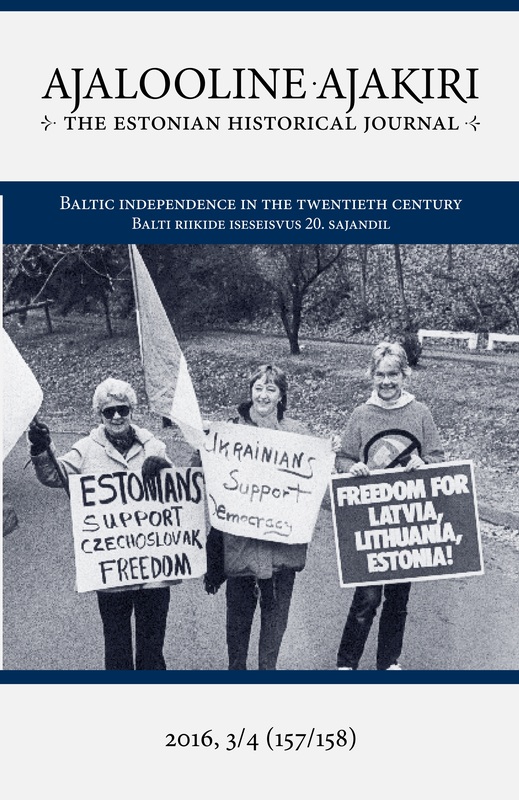 Ultimately the restoration of independence was decided by developments in the Soviet Union, but US policy made the Baltic question an international issue and helped resolve it peacefully.